14 years and 700 episodes of Stylin' on Melbourne's 3RRR-FM, but you get the presents! 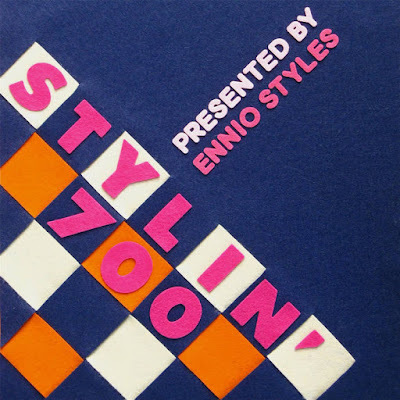 Stylin' 700 includes many unreleased and under-the-radar cuts, with music from Australia, New Zealand, UK, Japan, France, Spain, Portugal and no less than 13 US states. Mostly originals, as well as some surprising versions of James Blake, Bobby Womack, Thelonious Monk, James Brown, Richie Havens/Bill Evans and Ann Peebles. Digging further beneath the surface of these tunes reveals producers and musicians with credits extending to everyone from Horace Andy, Robert Glasper, Butcher Brown, Roy Hargrove and Eddie Palmieri to Carl Craig, MF Doom, Tall Black Guy, Drake, Thundercat, Chance the Rapper, Louie Vega, Miles Bonny, Ayatollah and Q-Tip.